Appendicitis is a condition in which the appendix becomes inflamed, swollen, and filled an accumulation of dead white blood cells. The appendix is a small finger-like pouch located to the right of abdomen. It is thought that causes of appendicitis begins when the opening from the appendix into the cecum becomes blocked. The blockage may be due to a build-up of thick mucus within the appendix or to stool that enters the appendix from the cecum. An alternative theory for the cause of appendicitis is an initial rupture of the appendix followed by spread of bacteria outside of the appendix, but it is also possibly triggered by other problems as well. Appendix is directly connected to large intestines, so this organ is affected by the conditions of digestive systems in the stomach area. An infection or inflammation that occurs in abdomen area can trigger appendicitis. Although the initial problem does not actually occur in the appendix, the infection can spread and finally attack this small organ if left untreated. Ulcerative colitis is one of indirect causes of appendicitis. This health problem is suspected to be triggered by autoimmune condition. In such case, immune system does not function properly and attack healthy tissues instead of infection or inflammation. It is possible that the immune system detects the good bacteria inside the colon as threats. The body’s natural defense attacks tissues of the colon and cause inflammation. As mentioned earlier, infection that occurs in any of abdominal organs can spread and affect appendix. The exact cause that immune system behaves this way remains unclear until now. The symptoms include abdominal pain, bloody diarrhea, weight loss, and frequent urge to go to toilet. There is no cure for Ulcerative disease, so the best thing to do is to control those symptoms. Hard pieces of stool are possibly trapped inside the appendix and causing blockage. The bacteria contained in the stool will quickly grow and cause infection, swelling, or inflammation. When an organ is infected or inflamed, human body naturally produces pus (protein-rich fluid) to counter the problem. It is the main reason that an inflamed appendix is filled with an accumulation of pus. In both causes of appendicitis (infection and obstruction), bacteria rapidly multiply. 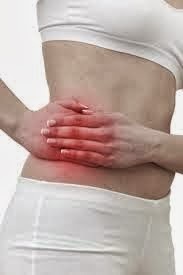 Immediate medical treatment is necessary to prevent the appendix from rupturing. Other potential sources of blockage and infection include Crohn’s disease and Ulcerative colitis. This disease is a chronic condition which causes inflammation of the lining of digestive systems. The inflammation may indeed affect any part of the digestive organs, but this problem most commonly attacks large and small intestines. Patients can sometimes experience no symptom at all or mild problems such as diarrhea, fatigue, abdominal pain, and weight loss. Over time, the inflammation will damage many sections of digestive systems. Severe inflammation will harden and narrow many sections of the bowel thus resulting obstruction or blockage. Appendicitis is only a complication of the disease. There are various factors causing Crohn’s disease including genetics, immune system, and even environmental factors. There is currently no medication that can completely heal the condition.